Every Mac is protected with a password. Most of the people use it to lock their computer, and others are required to enter it to make changes to their computer or install new applications. If you happen to use your computer after a very long time, chances are, you would have forgotten your password. What can you do in such a situation? 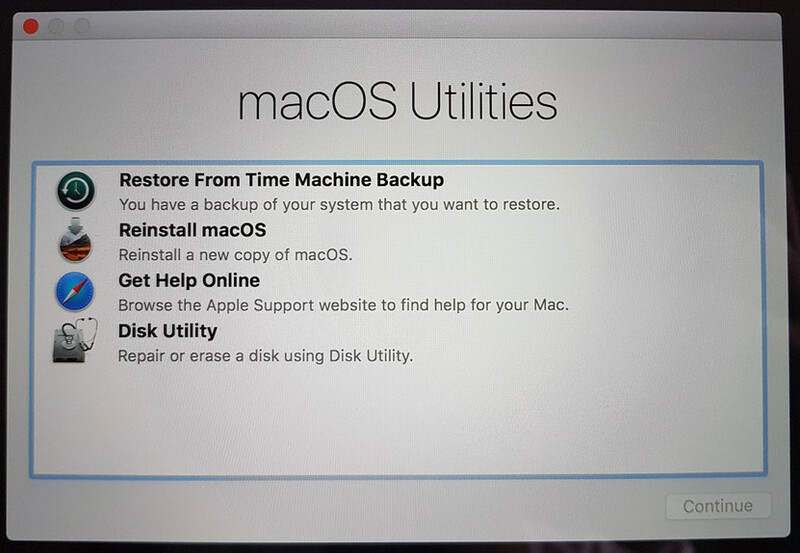 MacOS comes with a built-in recovery mode that allows you to perform various functions in case you can’t login to your computer. It allows you to restore from Time Machine backups, repair and partition your hard drive, and get support online. 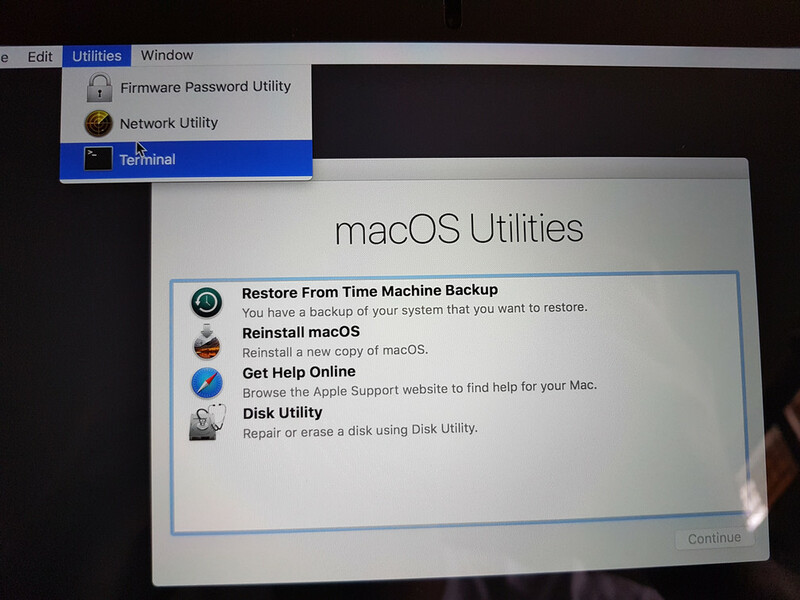 Below are the steps to reset your password using MacOS Recovery. First Shut Down your Macbook. 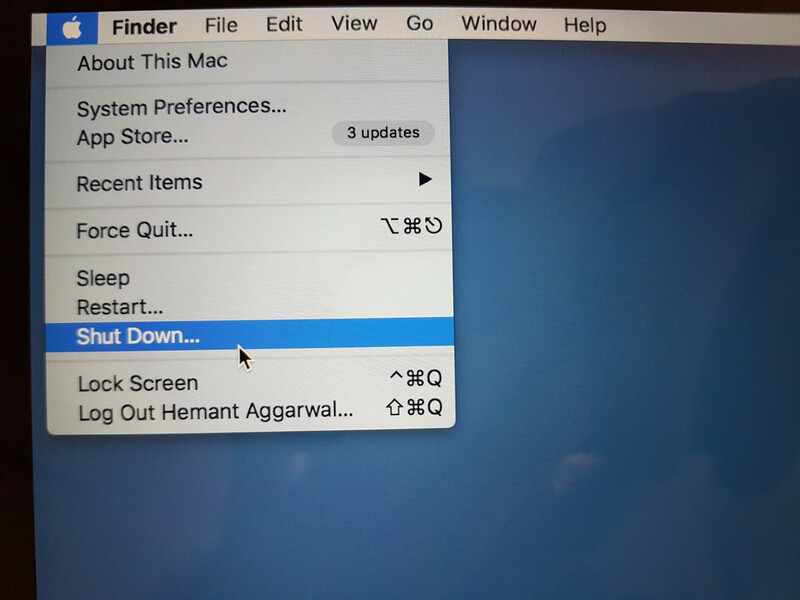 After your Mac is switched off, hold the Command + R key combination and press the power button. Make sure you hold the Command + R keys until you see the Apple or a Globe logo. If you see a Globe logo, it will take some time to enter into Recovery mode, as all the required files will be downloaded from the internet. Once you enter recovery mode, you will see a screen as shown below. Now from the top-menu, select Utilities > Terminal. 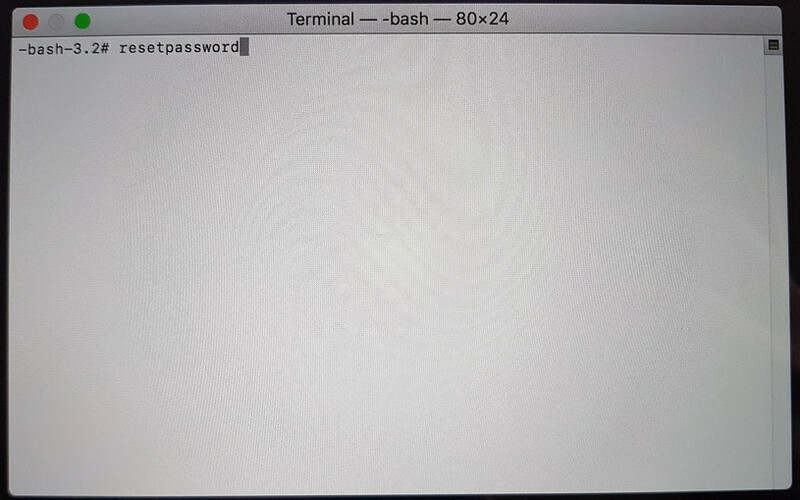 In the Terminal window, type “resetpassword” and hit return/enter key. Now, the password reset window will open. Choose the account you want to reset the password for. 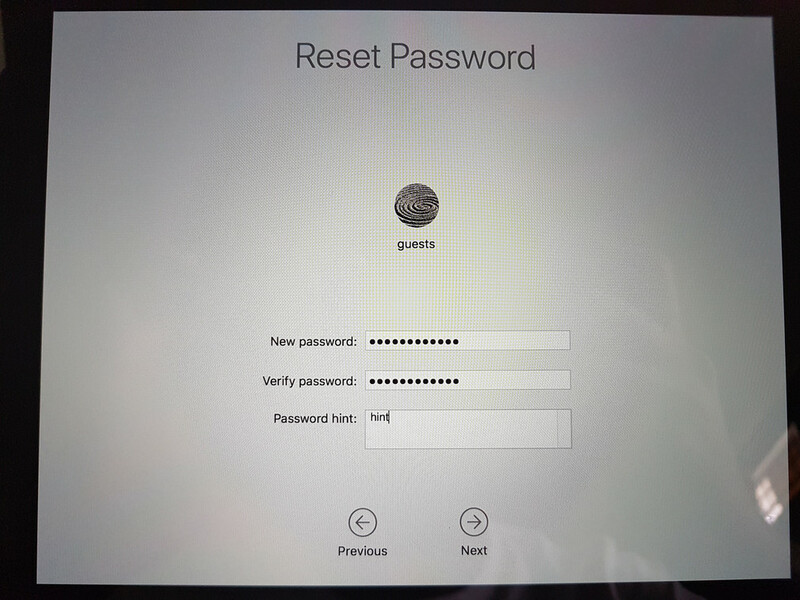 The guests account is a local account (no Apple ID associated) in my case, so we can change the password directly. Just enter the new password two times, and you are done. 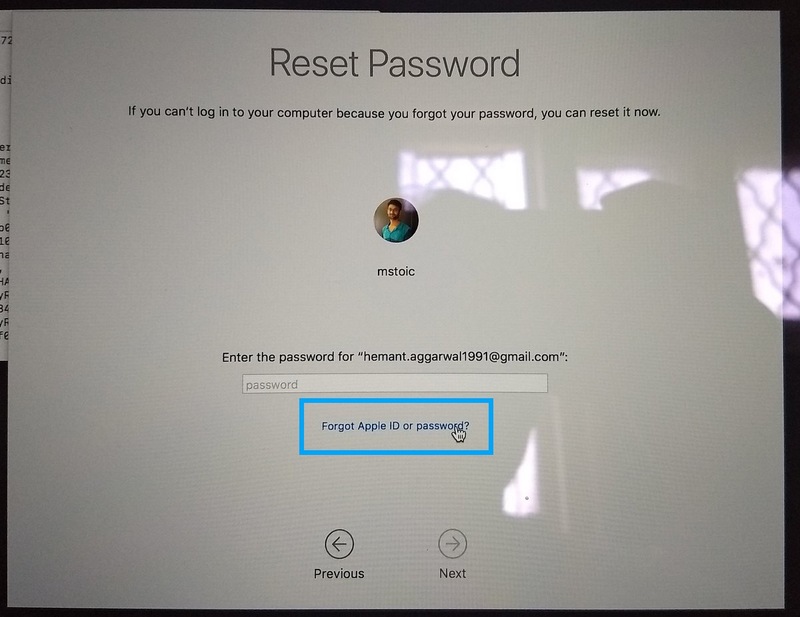 As anyone can reset the password for your local Mac account in this way, there is also a simple way to prevent it. 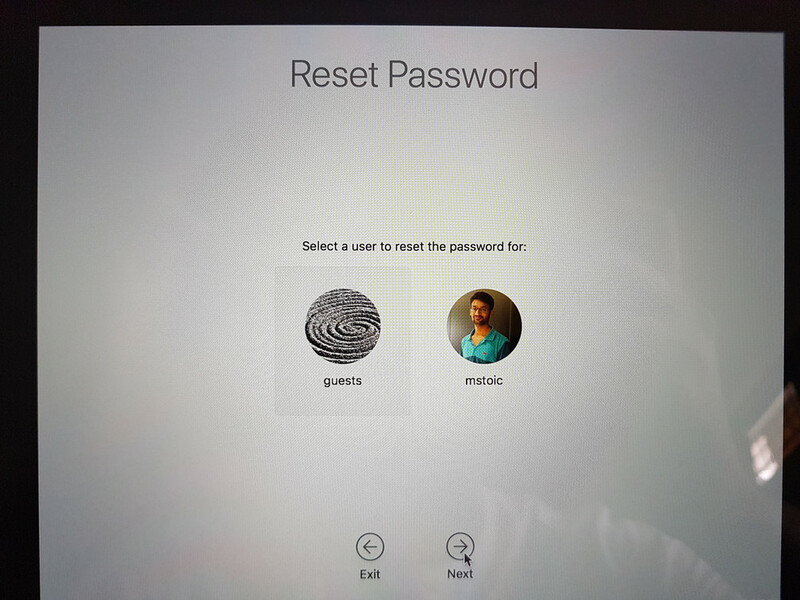 I will write an article on how you can stop anyone from resetting password of your Mac soon. 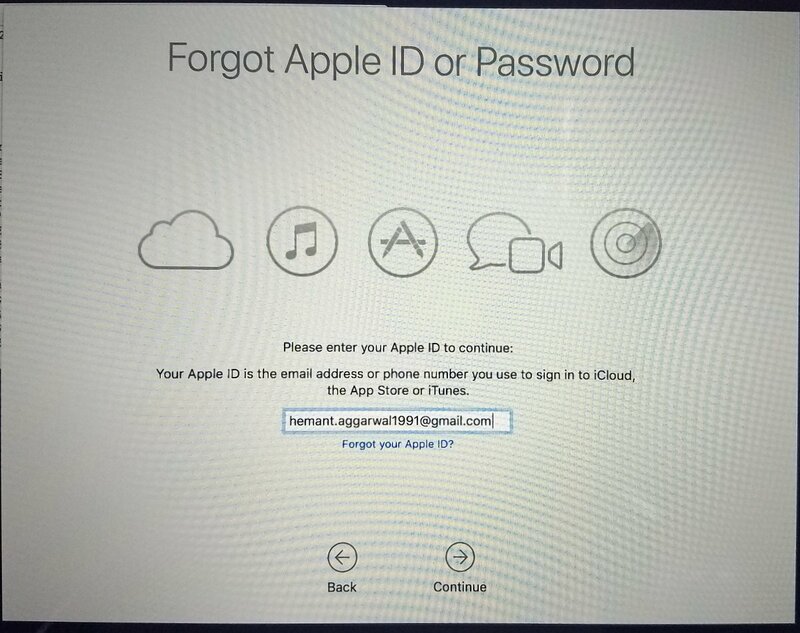 If you have an account with Apple ID associated with it (Hemant Aggarwal in my case), then you can select that account, and click on “Forgot Apple ID or password“. Now enter the Email ID associated with your Apple account and click Continue. Now you will get 3 options. 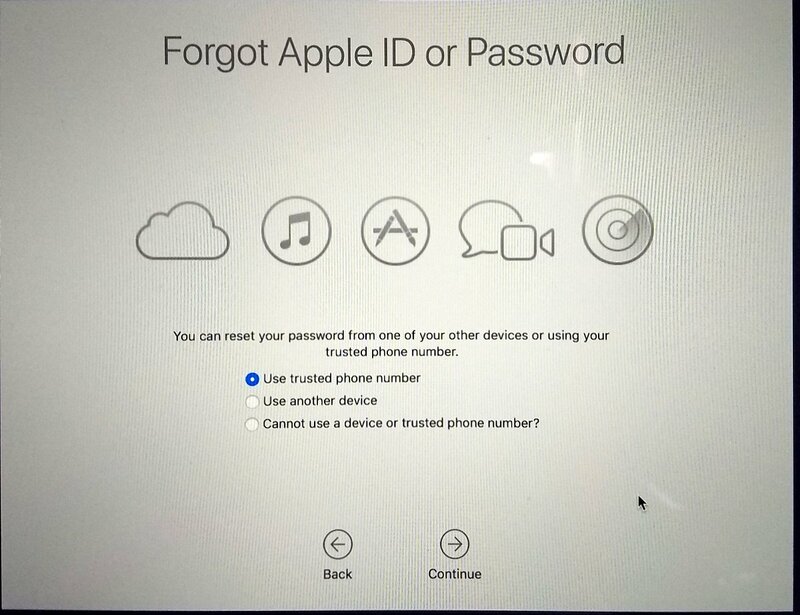 Either you can use your mobile device associated with your Apple account to get a verification code, or you can use another Apple device which has your Apple account associated with it, or you can choose the third option and answer some security questions to gain access to your account. As I have access to my mobile phone, I went with the first option. Now, we have to enter our phone number, and hit Continue. Now you will receive a code on your mobile phone, which you will have to enter in the boxes given. 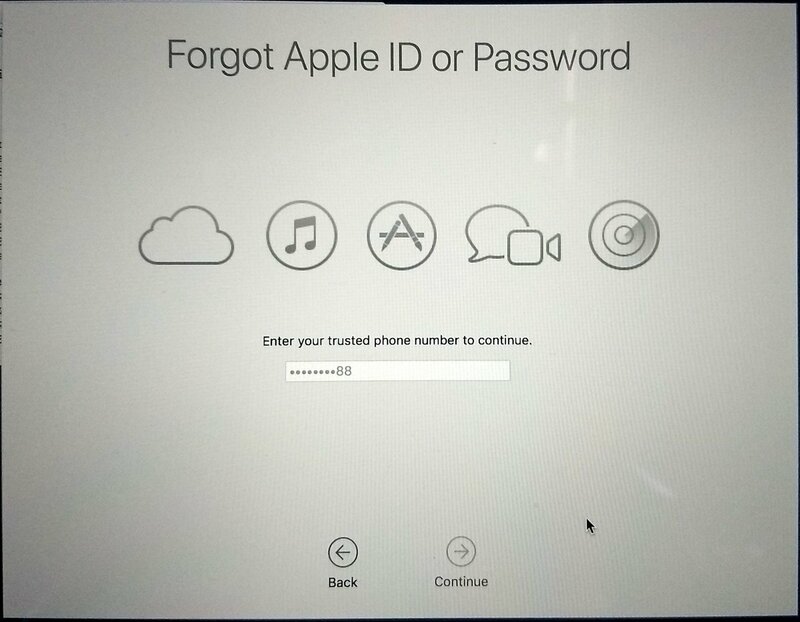 If the verification code is correct, you will be able to reset the password for your Apple account (the password that you use to login to your Mac). 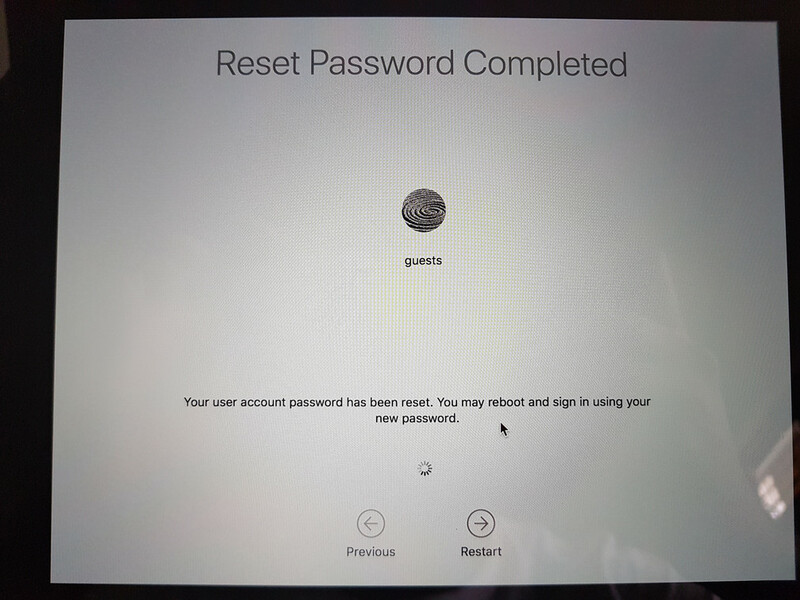 So, these were the simple ways by which you can reset the password for your Mac. Do let us know if this article helped you, or any other ways to reset the password of Macintosh.